The Staff Selection Commission (SSC) conducts the Combined Graduate Level (CGL) Tier-I examination for recruitment to various Group B and Group C posts in various Ministries/ Departments/ Organizations. This book has been designed to help aspirants preparing for SSC Combined Graduate Level Tier-I Recruitment Examination 2017. The present revised edition of 25 Practice Sets for SSC Combined Graduate Level Tier-I Recruitment Examination 2017contains 2016 Solved Paper and 25 Practice Sets. 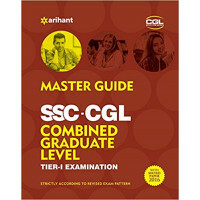 The book contains 2016 SSC CGL Tier-I Recruitment Examination Solved Paper to help aspirants get an insight into the pattern of examination and the types of questions asked therein. Authentic and comprehensive solutions have been provided for the previous years' papers. 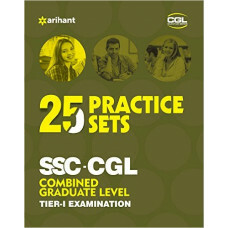 The book also contains 25 Practice Sets which have been designed strictly as per the revised examination pattern. The questions covered in the practice sets have been designed as per the examination pattern and the type of questions asked in recent years’ SSC Combined Graduate Level Tier-I Recruitment Examinations. 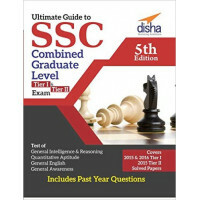 As the book contains ample practice material designed strictly on the lines of the revised examination pattern as well as previous years' solved paper, it for sure will act as the perfect practice material for the preparation of upcoming SSC Combined Graduate Level Tier-I Recruitment Examination 2017.